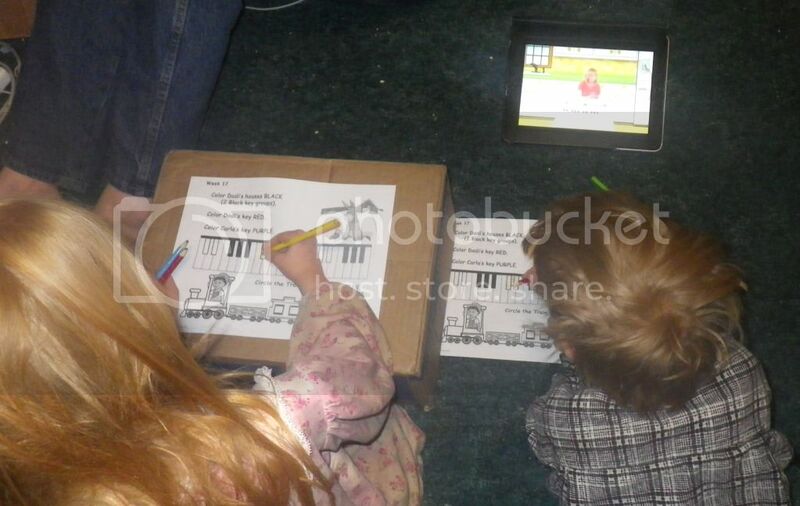 For the third year in a row, I have had the opportunity to review an amazing program of online piano lessons... Kinderbach. I think I love it more now than I did either of the last years. Maybe because Richard and Trina are at the upper end of the recommended age range (ages 3-7). Or maybe because this time, we've made far more progress. Or maybe, just maybe, it has something to do with a new feature with Kinderbach. 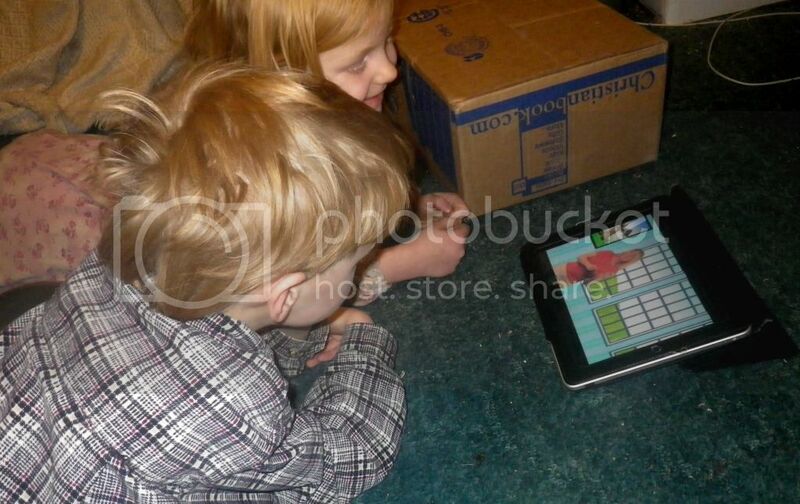 Check that out... the kids are watching their lesson on the iPad. 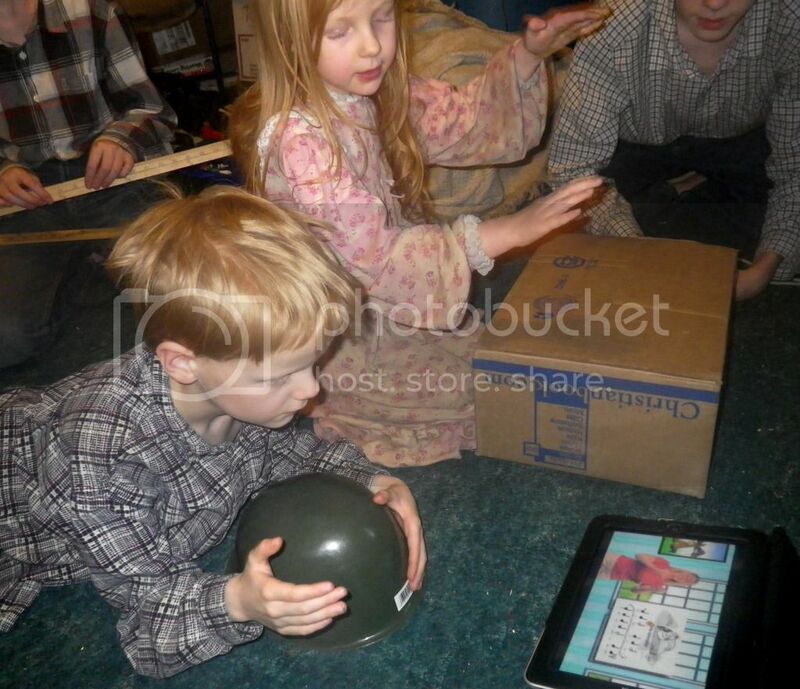 This makes everything so much easier to implement, as the iPad is so much more portable, so we can do lessons by the keyboard without dragging the keyboard to the computer, or the computer to the keyboard. This has made it so much easier to do the lessons (note: right now, it is just the first three sets... or 30 "weeks"... that are formatted for the iPad, with more coming soon). Above, the kids are watching a session. Miss Karri is engaging and upbeat, and the kids just love her. Some sessions involve the keyboard or piano -- and that would be something you probably ought to own. We have a decent low-end keyboard, but you could do this with a toy one too. 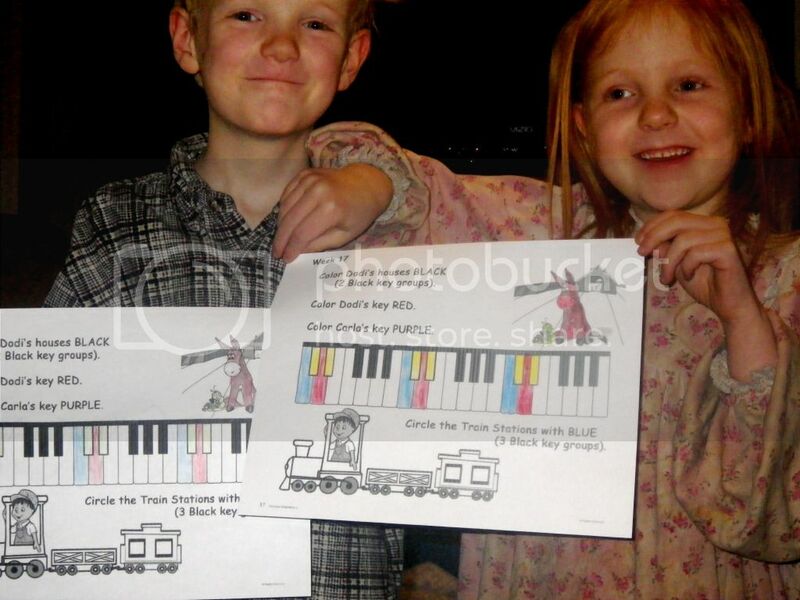 Many of the sessions (there are four sessions in each week, and ten weeks per level) involve coloring pages. Within the session, there is a button to push to print out the page you need now (and that works within the iPad too) or you can print an entire level from one pdf file. And, of course, you can print out as many as you would like for your family. One of my only frustrations with the program, though, is that most of the time when we print the coloring page from the iPad, it logs us out and I have to get us logged back in. Richard and Trina, however, loved it. Even if they didn't always use the colors they were told to use. I am so impressed with this program and I don't even know where to begin to describe why. All of the kids are so much better with rhythm now. They are learning a lot of great stuff about music. But it is even more than that. One lesson had them drilling right vs. left -- and the younger two started to grasp that while turning around changes what is on your right or on your left, turning around does not change things like which hand is your right hand. Little lightbulb moments like that sure are wonderful. My subscription goes through sometime next month... and at that point, I plan to either purchase a subscription ($95.88 for a year) or purchase a level or two of DVDs ($40.45 for one level)... and now through February 2, 2013 with the coupon code TOScrew2012 you can get 30% off. I know I'll be taking advantage of that. Disclaimer: As part of the TOS Homeschool Review Crew, I did receive a three month subscription to Kinderbach for the purpose of a review. All opinions are my own. For more about my take on reviews, visit my blog post here.